This site could have been OK if Admin had listened to Brenda and to me, back in 2014. As it was, he ignored us. It's a shame that Admin has lots of aspirations but doesn't spot when there's people around him who also have good ideas, and who could be of help, if only he would let them. Harness their energy, and all that. After 9 years on 'other sites' I'm kind of used to it, by now. Allombo has 97 members now, so the first milestone is fast approaching! And the forum (still a secret area) has had its first contribution from someone other than Brenda or me. Tuesday, June 3, 2014, 8:44:58 PM- Easter Eggs! It's fun having some "easter egg" areas of the site, which are not in obvious view. I hope these secret areas remain, when the site emerges from its beta testing and goes on public display! The day Brenda and I joined, there were 20 other members. I see the total tally's climbed to 34, now. And Bubbles posted the 100th photo, earlier. "That makes much more sense!" I'm very fond of taking photos, and it's nice to have a place to share them. Maybe one day this site can rival the likes of Flickr as a photo source... you never know. Anyway, it's well-coded and I feel rather at home here already. At present, I'm still in a testing phase, which is why I posted a photo of a yummy British snack. You just can't beat REAL potato fries, can you? "Potato fries, POTATO FRIES? If it's a British snack, then they're "chips", damn it :). 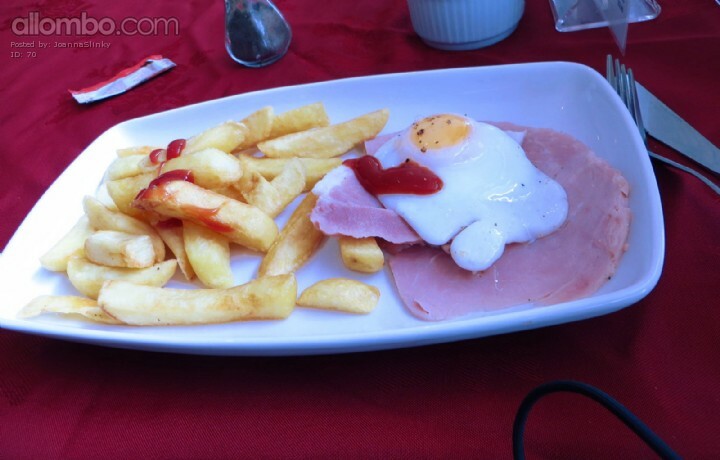 Can you imagine ordering "Ham, egg, and potato fries, please" in a caff?"